Daegu has played a central role in the history of modern Korean food. The refugees driven down to Daegu during the Korean War brought with them their own unique foods. Since the establishment of Deulan-gil in Suseong-gu in the early 1990s, where hundreds of restaurants offering hundreds of different dishes are clustered together, Daegu has been making a name for itself as an international culinary city. 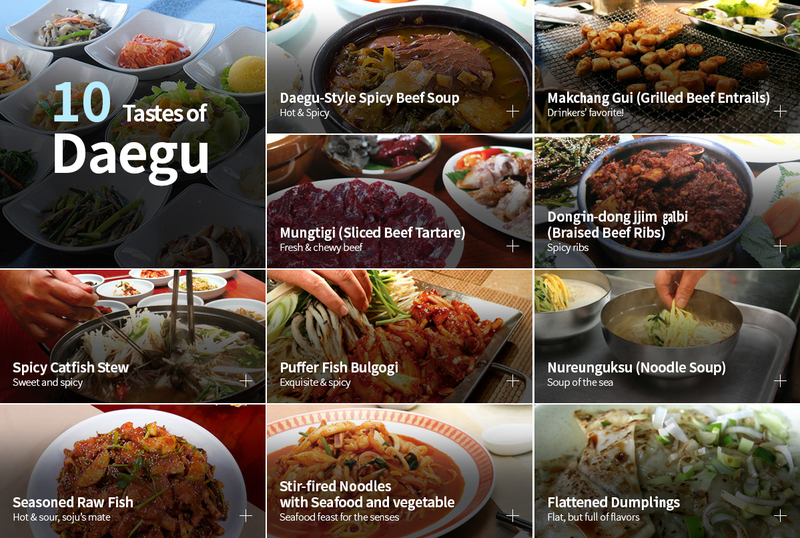 Taste Daegu, and enjoy the genuine taste and flavor of Daegu's various foods. Interested in more tastes of Daegu?